Yesterday morning was a chilly one! I LOVE morning light, but I am not a fan of mornings in general. However, yesterday at 9am I braved the cold with the Packard Fam. They brought an adorable red wagon that was repainted by their parents and had originally been their grandparent's wagon! I love it when my clients bring props special to them, it just makes the photos so much more memorable. This was my third time doing photos for this family and they hold such a special place in my heart! Little Rowan is only a few months older than my son, Finn, and it's just so awesome to see his unique personality come out a bit more every time I see him! I was thankful this was just a mini session because I'm honestly not a fan of cold, but I'm pushing myself to shoot through it since I just love the light that winter brings! I was supposed to go to church after the session but I was so worn out from the previous day where I second shot a wedding with Erin Richard Photography that I ended up just playing hooky and getting my cuddle quota in with my baby boy. "Your work is amazing and I'm glad I found someone who I love just as much, I trust just as much, and who treats me as a friend, but also as a client. You're professional, and your work and dedication shines through through your photography. You're amazing at what you do." -Terri, after receiving her gallery. Check out the rest of the photos from this session! Contact me to schedule your own little session and don't forget about my upcoming Christmas minis! 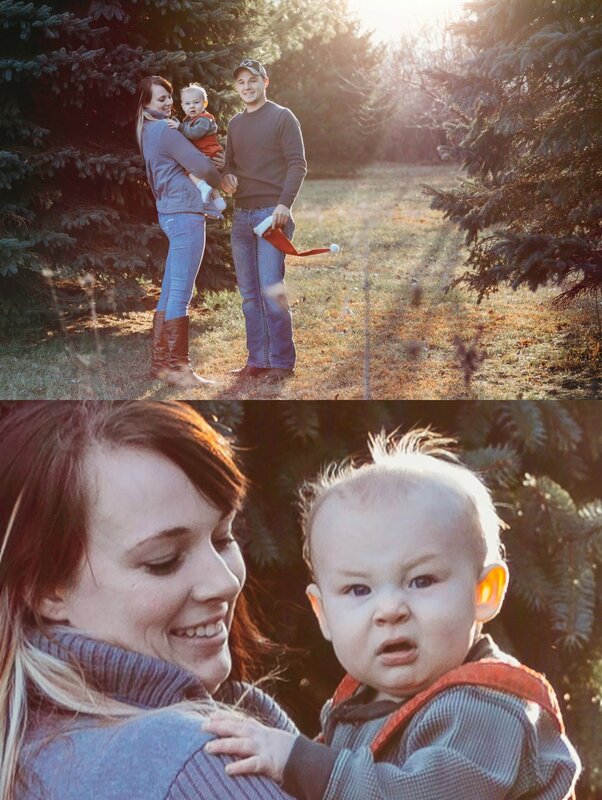 And as a bonus, I just gotta say, I have never laughed this hard while editing photos. I always zoom in to make sure that faces are in focus and don't need any touching up and when I zoomed in on this photo I literally spat my drink out!